Malta is a very attractive destination, not only as a tourist location but also from a business and financial hub. As a member of the EU and the OECD, the Maltese passport is ranked as one of the top 10 in the world. Due to its strong reputation and stable economy, Malta is an attractive financial destination for investors and families alike. In recent years we have seen a significant increase in South Africans acquiring residency in Malta as well as moving to Malta permanently. Malta has two residency programs: the Malta Residence and Visa Program (MRVP) and the Global Residence Program (MGRP). See below for details. The Global Residence Program is attractive to investors who are looking to reside in Malta and pay a fixed annual tax. The Residence and Visa Program is aimed at investors who are looking to acquire a second residency through investment and not necessarily wanting to live in Malta. In 2016, the Government of Malta launched its new Residence and Visa Program, which offers investors Maltese residency in only 3 to 4 months. The program is aimed at non-EU foreigners who are looking for a straight forward route to obtain Maltese residency. This program is very attractive to families who are wanting to get a second residency in the EU, but are not necessarily looking to physically immigrate and live in Malta. In comparison to other countries' programs such as that of Portugal or Spain's Golden Visa programs, Malta offers a far simpler and more straight forward route to residency. The application time frame is also much quicker with investors achieving residency in 4-8 months (as of end of 2018, applications typically have been taking 6 months). As Malta has been offering residency in exchange for investment successfully for many years now, the Government has extensive experience in the management and running of its programs. This can also be seen in the ongoing demand and success of its exclusive Individual Investor Program for Citizenship as well as its Global Residence Program. In order to qualify for the residency program, applicants are required to purchase immovable property in Central and Northern Malta with a minimum value of EUR 320 000, or EUR 270 000 if in Gozo or the South. Capital investment of at least EUR 250 000 into Government bonds. This must be held for 5 years. On submission of the application, a non-refundable Government administration fee of EUR 5500 must be paid. Once the investor has been qualified, the remainder of the EUR 30 000 (less the initial fee) must be paid. The requirements for the Maltese Residence and Visa Program are relatively straight forward. Applicants must pass a due diligence test and prove legitimate source of funds and source of wealth. Global health insurance: A valid global health insurance policy with medical expense cover. We can assist with this. Malta’s due diligence processes are strict and applicants that do not meet the criteria can be declined. Please note that both of these are residency programs and do not lead to citizenship. In order to acquire citizenship in Malta, you should consider the Individual Investor Program (IIP). Maltese residency allows the holder visa free travel to all the Schengen zone countries as well as the right to live, study and work in Malta. It allows the investor to spend a maximum of 90 out of every 180 days in any of the Schengen zone countries allowing freedom of travel and mobility within most of the EU. 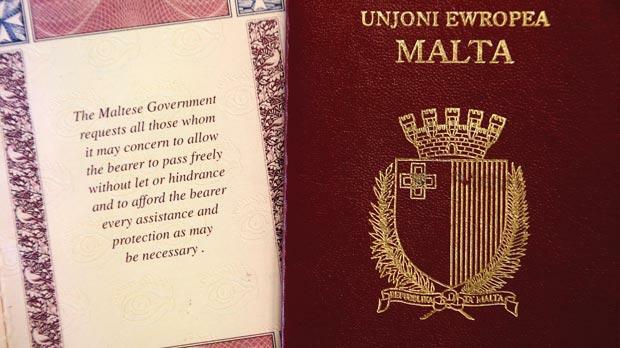 Please note that Maltese residency does not give the right to live and work in Europe, only Maltese citizenship will give this freedom and access. With a Maltese passport, one can travel visa free to more than 165 countries including the USA. Malta is a family friendly country and allows the spouse and dependent children to be included in the application, provided you can show they are dependent . The Residence and Visa Program has a relatively straight forward process. The initial non-refundable deposit of the contribution (EUR 5 500) is paid along with the application submission. Once thorough due diligence checks have been done, successful applicants must complete the remaining qualifying investments. They will then be issued with a Maltese Residency Certificate which is monitored annually for the first five years and then only every 5 years thereafter.